Middle-class, ordinary-people horror fiction is an intriguing breed. 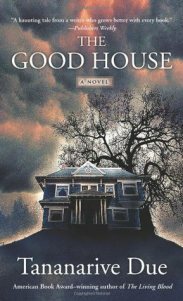 You know those horror novels that seem more concerned with the day-to-day lives of their protagonists, sidestepping it with scares only on occasion? That is what I’m talking about here. Molded into its shape by a million Stephen King novels, this type of horror seems almost more slice-of-life than actual fright fest. King’s own It is oftentimes more a chronicle of small time living than it is an epic battle with a powerful ubiquitous clown-giant-spider monster-thing. These novels dedicate so much time to laying out the land—the outer activities and inner thoughts our protagonists, the realism of the setting, the personal conflicts existing above the surface of whatever eldritch monstrosity is about to start wreaking havoc.